Shakespeare’s Riverside: Theatres, Dungeons and Taverns! 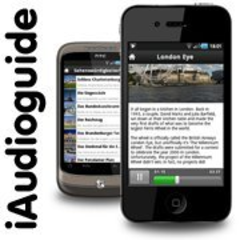 Shakespeare Audio Walk Outline: London Bridge and St Paul’s are two of the sites on the standard London tourist trail, but have you ever considered the amazing historic area between them? You will be startled by the amount of prisons, bull-baiting rings, brothels and palaces that used to exist on this short section of the river. Some of the sites (including almost all of the old pubs) still exist, while others have been left as preserved ruins. One, Shakespeare’s Globe, has even been reconstructed in painstaking detail to replicate the original. The walk takes in all aspects of Southwark’s history, but especially concentrates on it’s most colourful era when it was the backdrop to the shady world of Elizabethan entertainments. We fill you in on the history of the sites, the characters who populated them and some of the gorier details of life in Shakespearian London. We then bring you right up to date by taking you across the Millennium Bridge before we finish our tour at the magnificent St Paul’s Cathedral.